Soft, romantic, and perfectly-boho, this chiffon gown from Sorella Vita is ideal for your laidback, romantic bridal party. Featuring slight ruching, the bodice of this gown is highlighted with a criss-cross V neck. Shoestring straps come up from the bodice, and are accentuated on either slide by chiffon flutter sleeves, adding a completely-boho touch. 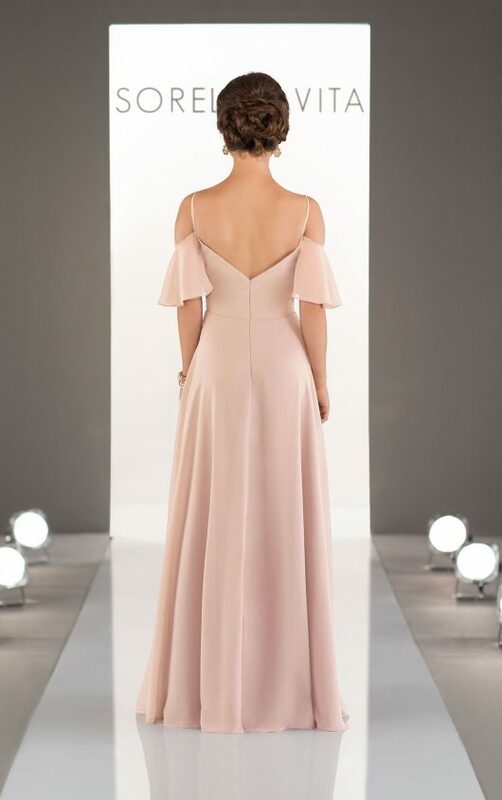 The back of this gown features a deep V-back, allowing the flutter sleeves to truly stand out.